The language of music transcends political, religious and cultural boundaries. It is with this spirit that Lane McCray burst onto the international music scene in the mid and late 1990s with the late diva Melanie Thornton. 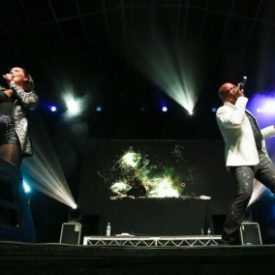 Having met in Frankfurt, Germany by a chance encounter, this powerhouse duo became known as La Bouche (French for “the mouth”) and conquered the dance music scene with landmark success, producing chart toping singles, peaking at number one in seven countries. The successful dynamic duo conquered the charts of the 1990s. With more than 10-million records sold under BMG and the meticulously watchful eye of legendary music mogul Frank Farian, La Bouche earned numerous awards, including the German Grammy, the Echo, for Dance Song of the Year in 1995. In 2001, Melanie Thornton passed away in a plane crash while promoting her solo career. 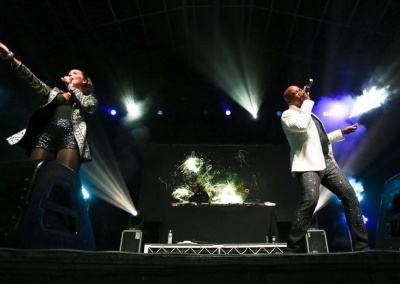 La Bouche continues to perform for their wonderful fans around the globe. Lane McCray has released his solo album in 2011.